There isn't much to review bout this novel thus far, but it does showcase a fiesty yet adorable female lead in which isn't a bad thing. Basically it is about an obnoxious girl being transported to another dimension. I don't know just which part of the MC that is being intelligent. If solving an elementary class riddles means being intelligent, then I don't know what is the meaning of Idiots. Trust me, this MC is stupidly annoying, ignorant, obnoxious and loved to bring calamity on her being. Full of Fluff. As other reviewers have said, a story about a naive, yet head strong time traveling girl. MC is a bit insane, imo, cause you'd think one would be a more cautious when a character time travels, but she's not. So in short? Adorable? Maybe. Intelligent? If being headstrong is intelligent, then yes; Otherwise, no. Personally, I liked the artwork in the beginning of the chapter more than the story itself. This is good novel like DTBCF. They both are similar but I like this novel better than DTBCF. I like how smart honest and fearless MC is. I like her silly personalty too. ML is good and caring toward her. good unique novel. I love this novel but too bad translator drop this great novel. I recommend you guys to read this good novel. 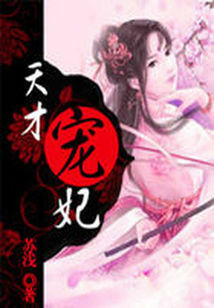 A transmigrated story of a modern woman ending up in a feudal, Chinese-like world. You know the drill: clever woman with modern sensibilities intriguing/shocking the eligible men and infuriating the women who are competing for attention. The difference is the the MC is not revenge driven or goal oriented. In a word, she is 'ditzy', in that she accepts her new situation very casually and goes along with her own whims, exasperating and surprising the people around her. The story is super cute, the first translator (up to ch 53) has clear and beautiful translation. From then on it looks like a bad MTL in which your brain is broken trying to keep up. I was really excited picking this up to read, but because of bad translation... this is unreadable. The first 53 chapters are amazingly well translated which made me get hooked up by the story. Unfortunately what follows are horrible translations that can't be understood. It's truly fustrating. I hope someone could contact the tl and correct those chapters so that it can be understandable. I'm sorry for being harsh but I really got hooked up by the story and it annoys me to have to abandon it because of the tl. And trust me, I've tried. But this is impossible. As far I read, its an interesting story. At first, the FL got transfer to another world, not transmigaration or rebirth. She appear on the bed of ML with ML still sleeping beside her. Reading this novel, its really make me lough out loud. The interaction between FL with other people around her is soooo funny. She is an energetic girl I would say. But what I can say about this novel, there is no rival in love yet (as far I read). I won't rate this yet because I'm still early into it, but so far, it's kind of hard to enjoy this. I didn't expect an intelligent/cunning MC because of the previous comments, so I was going in with an expectation that the MC would be an ordinary, modern girl. She is, and that's fine. But my problem is the blatantly overused cliches the story bombards us with from the get-go. Now, as a time-travel/transmigration/reincarnation fan, I'm used to seeing the same tropes being used over and over again. I usually don't... more>> mind because they're partly why I like the genre, and a lot of the times, authors use clever/fresh/entertaining ways to spin these tropes so readers don't get bored of them. But this story takes these cliches and just slams you with how glaringly obvious and unimaginative they are that you just can't ignore them. Worst, the method seems to be unironic, so you're left wondering if the author is even trying. Like I said, I'm still early into this and am hoping it comes to a point of interest soon. I'm also hoping that the reason the author made such a beginning is mostly to get the setting out of the way, so the author could focus on a main story-point and that'd be where the interest of the story will lie. So, I'll give it another 10 chapters to decide whether or not to just give it up. I noticed a few people finding fault with this story. I admit it's hard to say she is "intelligent" but I don't think she's stupid either. She's pretty much average in intelligence but she's also extremely mischievous, curious, and free-spirited. Honestly I find her funny and adorable. I don't think there's anything about her that's annoying. Sure a lot of people like those super clever protagonists that stomp on everyone subtly and blend in with the historical setting despite being a modern time-traveler, even I like stories like that sometimes. This... more>> is definitely not one of those stories but it's not any less enjoyable in it's own way. Seeing her and the ML gradually fall for each other and her leading these other people around by the nose is very entertaining. Sure she has a bit of a protagonist halo in that the Emperor and Empress seem to like her at first sight and she can do what she wants but that's just fine, it makes the story even more funny.